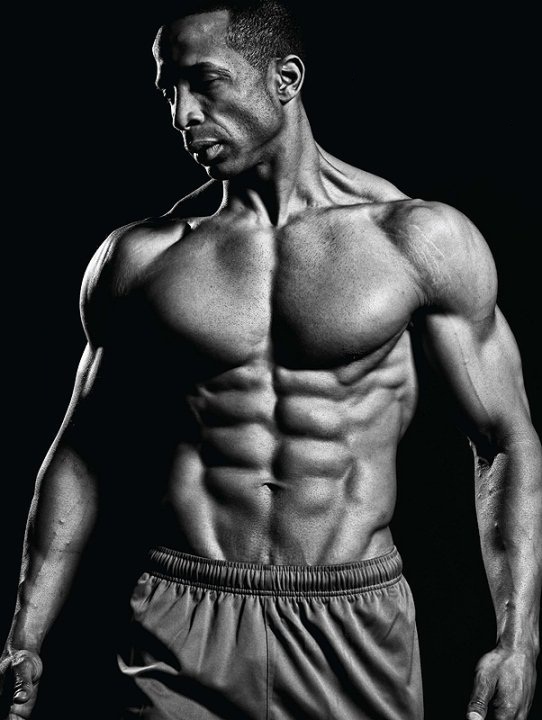 I don’t usually like to write whole articles about supplements because I believe diet and training to be far more important than any combination of supplements. However there are a few supplements that work, creatine being the most notable of all of them. It is the best selling supplement ever, period. Creatine sales totaled over 100 million dollars in last year alone! These sales were to everyone from middle scholars to the elderly. With this recent rush of creatine madness there has also been a wave of misinformation. I cannot believe the things I hear people say about creatine’s effectiveness, about how it works, and about it’s safety. There is some information floating around out there that is just untrue, well never fear, I am here to combat misinformation so here it goes. Creatine is a combination of three different amino acids, glycine, arginine, and methionine. That’s it, it is nothing more than a combination of amino acids. I don’t know how many people I hear talk about creatine and call it a steroid! I almost flip my lid when I hear it. Steroid? If that were the case it there would be a lot more 200+ pound people out there. No creatine is not a steroid, it is totally different and works in a different manner. Creatine is also produced by the body and found in high protein sources of meat such as fish and red meat. It is NOT a lab synthesized compound, it is natural. After creatine enters the body (or after it is produced by the body) it firsts binds with a phosphate molecule to form Creatine phosphate. Now here is where I’m going to lay a bit of biochemistry on you so I’ll do my best to keep it simple. ATP (Adenine Tri-Phosphate) IS the body’s energy source. When your body oxidizes carbs, protein, or fat it is doing this process in order to produce ATP. ATP is responsible for driving almost every body process there is. Hell ATP is even involved in creating ATP. ATP works like this… Energy is needed to drive bodily process. ATP provides this energy by hydrolyzing a phosphate group. When a phosphate group is hydrolyzed, energy in the form of heat is given off and this energy is used to drive whatever process is being performed, for example muscle contraction. Because one phosphate has been lost from the ATP it is now called ADP (adenine Di-phosphate). The reaction is as follows ATP (hydrolysis)=ADP + Energy. Now you have free ADP as a product from the ATP hydrolysis. ADP is pretty much useless in the body unless it is converted back into ATP. Now this is where creatine comes into play. The phosphate bound creatine donates it’s phosphate group to the ADP to re-form ATP! I assume you see where this is going now. By allowing you to return ADP to ATP creatine will increase your ATP stores, thus allowing you to train harder and longer.Creatine is a combination of three different amino acids, glycine, arginine, and methionine. Another benefit of creatine is that creatine itself is a fuel source. In fact your body’s first choice of energy when performing anaerobic activity (such as weightlifting) is your creatine phosphate stores. By supplementing with creatine phosphate you will increase these stores, thus giving you more energy for your workouts. There is another anabolic property that creatine holds and this is it’s ability to hydrate muscle cells. When muscle cells are hydrated a few things happen. The most notable being an increase in protein synthesis. The second being an increase of ions into the cell. Since the cell is holding more water, it can also hold more ions since the ions will follow water into the cell in order to keep the concentration the same. When more ions are present in muscle cells (the most important being nitrogen) muscle protein synthesis also increases. Since creatine has only been recently introduced to the market it is hard to determine whether or not there will be long term health effects from it’s use. However it must be noted that to date there is not one, I repeat not one reputable study that shows creatine has any dangerous side-effects. After eight years with no severe side effects I believe that one can begin to assume that creatine is relatively safe. I find it funny that most people I meet that are concerned about creatine’s safety are also people who like to go out and drink and smoke on weekends… try to find the irony in that. No it is not necessary to load but it can help you see results faster. You see to get the full benefit of creating you must saturate your muscle cells with it. Using a small dose (5g), this will take up to thirty days depending on the individual’s lean body mass. However using a loading dosage of 15-25g per day for 5 days, one can quickly saturate the muscle cells in this time period and then use a maintenance dosage (3-5g) for the remainder of their time taking creatine. Once again it is not necessary to do so but it can help. Your body has an internal equilibrium which you can swing in your favor for a duration of time, but over time that equilibrium will eventually swing back. Meaning taking excess creatine for a short period of time (4-8 weeks) may temporarily increase your creatine phosphate stores but after awhile your body’s feedback mechanisms will likely place some time of control on creatine phosphate storage to bring the levels back down to normal. This mechanism may be to decrease your body’s own production of creatine or to downgrade the number receptors that admit creatine into the cell. Taking time off from creatine can help bring your body’s equilibrium back into a state where in taking excess creatine will be beneficial again. I would like to make clear at this point that I know of no studies to back this theory up with, it could be right or wrong, I am just merely applying my knowledge of biochemistry to a frequently asked question to which there is no good answer to yet. There has been much discussion on this but I believe taking creatine post workout is the most beneficial time for several reasons. Insulin helps drive more creatine into muscle cells, if you are a smart bodybuilder then in your post workout meal you should be eating foods that help spike your insulin, if this is the case, then taking creatine with this meal will help it’s uptake into muscle cells. Creatine will help refuel your body’s low creatine phosphate stores. No, not exactly. 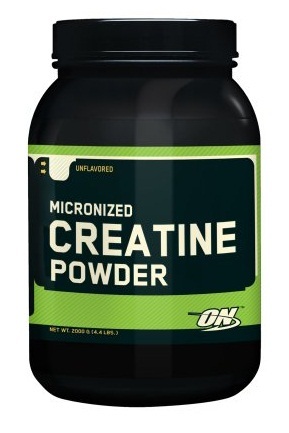 Once again for creatine to work your muscle cells must be saturated with it. This takes at least a week to do, so doing it once before a workout will not make a difference. Now if your cells are already saturated with creatine then it will still not make a difference if you take it before you workout. Your body must process it first and that takes time. The creatine your body will use in the upcoming workout will come from the creatine phosphate stores already in the cells, not from the creatine you just ingested. Most certainly not. Creatine degrades over time in water into it’s waste product creatinine which is useless in the body and will simply be excreted. Companies who claim that they have stabilized creatine in a liquid are flat out lying to you. One of these companies (I believe Muscle Marketing USA) had a lab assay done on their liquid creatine and the assay found that it only contained 15% of the creatine on the label claim. I would like to further de-credify these companies by noting that one of the reasons they claim their product is so good is because their creatine does not make your retain water. WHAT? As I have stated earlier, this is one of the biggest benefits of creatine, this clearly shows their eagerness to prey upon the ignorance of the public. Well if you want the most bang for your buck do not buy the creatine transports! These are enormously overpriced and you can make them yourself at half the price by buying your own dextrose online! A little tip… a mix of 50g whey protein and 50g dextrose has been shown to elicit the same insulin spike as a serving of Cell-Tech, and it is much cheaper I might add. Stoll B, Gerok W, Lang F., Haussings. Liver Cell Damage and Protein Synthesis. Biochemical Journal 287 (Pt 1) 217-222, 1992. Kreider et. al. Perceived Fatigue Associated With Creatine Supplementation During the Fall Collegiate Baseball Series of Division I Players. Journal of Athletic Training. April-June 2001 v31 i2 pS 83.